Julia Roberts. Julia Roberts has a mouth that big. Eat Pray Love was not the first adaptation of a human-in-existential-peril-does-expensive-journey-to-solve-life-and-write-a-novel novel, and it certainly is not the last (i.e. 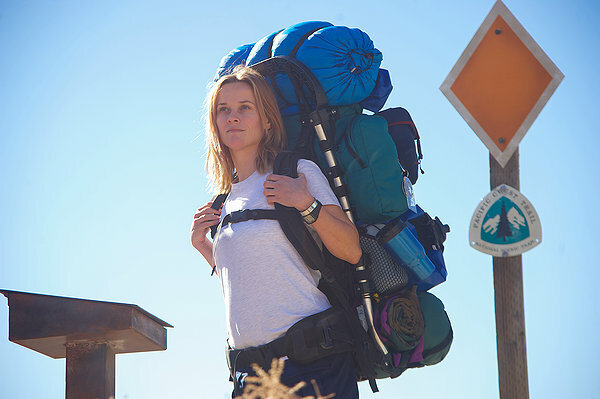 Wild, starring Reese Witherspoon and Oscar-nominated Reese Witherspoon’s backpack). What is it about this revered cliché that globetrotting somehow magically remedies every issue in your life? Is there any truth to the notion that you can travel to discover who you really are, whatever that means? You don’t have to be a sassy, middle-aged divorcée with a gargantuan mouth to admit your identity is in purgatory. You just need to be a regular human person in or around your twenties. It’s that nagging voice in the back of your head that questions every step you’ve ever taken and every step ahead. It’s the voice that asks why you’re doing what you’re doing. It wonders if everything has been one huge mistake. It asks if you should’ve chosen another major, should’ve chosen another career; should’ve chosen another life. It says to turn around and start over completely. But it also says that there’s no going back at all. Where do you go for answers? What good is travel beyond double the double-taps on Instagram? Above all, can you really escape your problems? The puzzles of your twenties stack in your mind like a cluttered desk or a messy room. New ideas, to-dos and do-nots written onto scraps of paper that get crumpled and tossed onto the ever-growing and overflowing pile of disaster. Until one day, when you forget what it all looked like underneath. Now, what if I told you to just leave it? Go find a new space, un-muddled by your worries. You can take a few of those paper wads with you; flatten them out and file them away properly, but the rest? Leave them behind on that pile. It is. It is freaking awesome. From the top of this mountain or winding cobbled street, you realize that this is you, left to your own devices and free from the outside influences that plague your identity, or lack thereof. Just you, in the now. And in your effort to focus on nothing but finding the next great view or a place to rest your head, you find yourself. You look back on that clutter and realize how much of it doesn’t need to be flattened or filed or folded—it just needs to be thrown away entirely. Or you can just eat them. That works, too. I sincerely hope this doesn’t find you in the chaos of brokenness, indecision or doubt. However, the reality is that your twenties are prime time for all these things to occur. Don’t let them break you. Travel instead. Go somewhere far away and take it all in. You can eat, you can pray, you can love. You can frolic. You can find that temporary freedom where the air is clear and life is good. And in this place, you just might find out who you are. And you’ll still get some hella Instagram love. Where in the world should you go? Take our quiz to find your perfect trip!